Bacterial Flagellar Mechanics & Buckling Micron-sized bacteria are the smallest and most abundant life forms on Earth, and many bacteria are motile, using a rigid corkscrew-shaped flagellum as a propeller to swim. We recently discovered a new mechanism whereby bacteria exploit a mechanical buckling instability in their flagellum to reorient their bodies, representing a dramatic and elegant adaptation by these smallest of organisms to turn failure into function. 1. K. Son, J.S. Guasto, and R. Stocker. 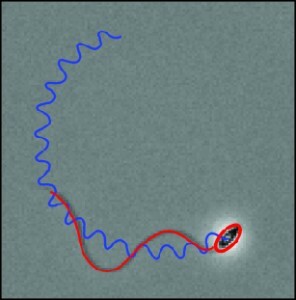 Bacteria can exploit a flagellar buckling instability to change direction. Nature Physics 9, 494-498 (2013). Single cells exhibit a diverse array of swimming strategies for locomotion at low Reynolds number, where the physics is far different from the macroscopic world. We recently demonstrated that the common swimming gait of biflagellates (Chlamydomonas reinhardtii) produces surprisingly complex hydrodynamics by measuring the time-resolved flow field around these swimming cells. 1. J.S. Guasto, K.A. Johnson, and J.P. Gollub. 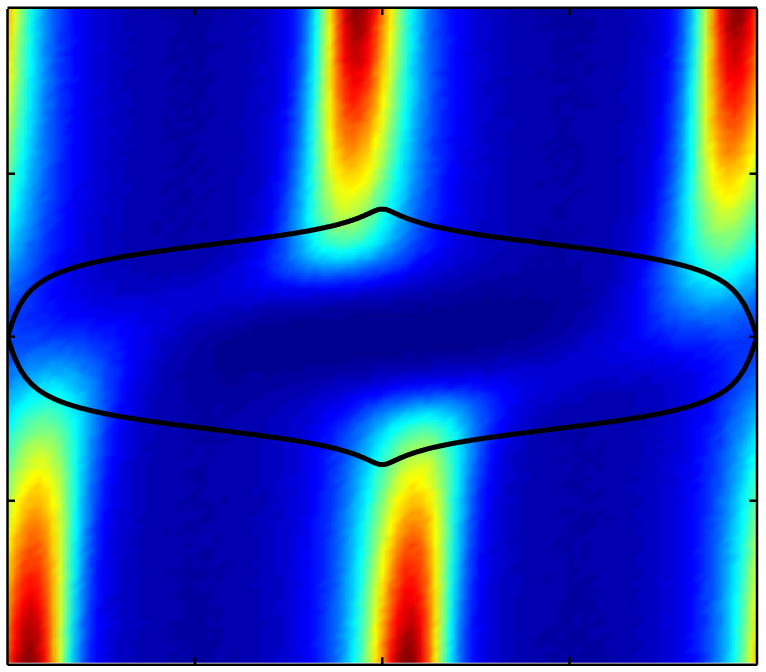 Oscillatory flows induced by swimming microorganisms in two dimensions. 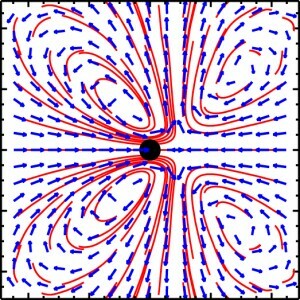 Physical Review Letters 105, 168102 (2010). 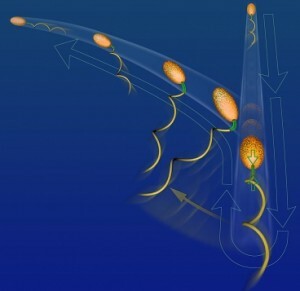 Motility enables sperm cells to deliver their genetic cargo to egg cells for fertilization, a key reproductive step for humans to marine invertebrates, where sperm are guided by egg-generated chemical gradients. We are currently working to unravel the complex interactions between sperm and their physicochemical environment, specifically to determine how sperm sense and respond to chemical gradients through a suite of novel microfluidic devices to control chemical gradients. Sperm Motility & Eukaryotic Flagellar Mechanics The eukaryotic flagellum is a complex micro-machine and one of the most highly conserved structures in nature. It occurs not only in sperm, but also in environmentally important single cells and throughout the human body, where malfunction causes infertility and disease. We are working to understand how the physical environment affects this microscopic propulsion system and how it is implemented so effectively across a diverse species. Bacteria often live in dynamic fluid environments, including medical devices, bioreactors, and oceans. Using microfluidic experiments, we have shown that hydrodynamic interactions between motile cells and fluid flows, in particular shear, can produce complex spatial distributions of cells, which can hinder chemotaxis while promoting surface attachement. 1. R. Rusconi, J.S. Guasto, and R. Stocker. Bacterial transport is suppressed by fluid shear. Nature Physics 10, 212-217 (2014). 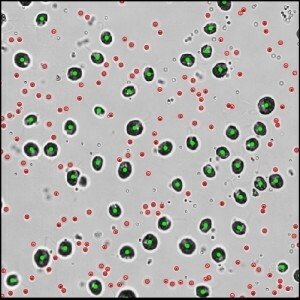 Disturbances in fluids caused by swimming microorganisms can modify the bulk transport properties of cell suspensions and enhance mixing of nutrients and chemical signals in marine environments. Such systems comprise a unique class of “active” colloidal suspensions, where we have characterized the statistical transport properties of suspensions of swimming algal cells (C. reinhardtii). 1. H. Kurtuldu, J.S. Guasto, K.A. Johnson, and J.P. Gollub. Enhancement of biomixing by swimming algal cells in two-dimensional films. Proceedings of the National Academy of Sciences U.S.A. 108, 10391-10395 (2011). ffusion in suspensions of swimming microorganisms. Physical Review Letters 103, 198103 (2009).